We at Runwal Reallty aspire to construct exemplary creative spaces built with uncompromising quality that provide real value for money. To build a strong legacy and be the most preferred brand in real estate , hospitality and entertainment sector. 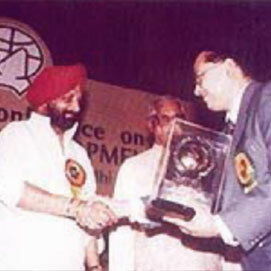 May 1997 - Mr. Padeep Runwal, M.D. (Runwal Reallty, Pune) received the RASHTRIYA UDYOG AWARD for QUALITY CONSTRUCTION in the presence of Hon. Satyanarayan Reddy, Former Governor of Uttar Pradesh and Orissa at Teen Murthy Bhavan, New Delhi. Mr. Pradeep Runwal, M.D. (Runwal Reallty, Pune) being felicitated at the hands of SHRI. 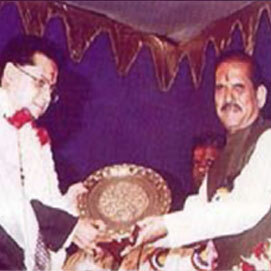 MANOHAR JOSHI, then Chief Minister of Maharashtra at the inauguration of the first Slum Rehabilitation Scheme. 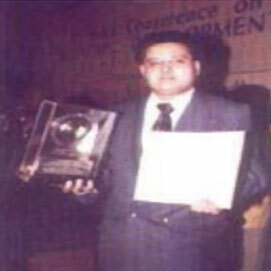 May 1999 - Mr. Pradeep Runwal, M.D. 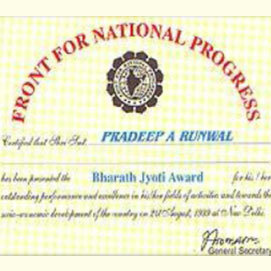 (Runwal Reallty, Pune) received THE BHARAT JYOTI AWARD for the first Slum Rehabilitation Project in India. Mr. Pradeep Runwal, M.D. 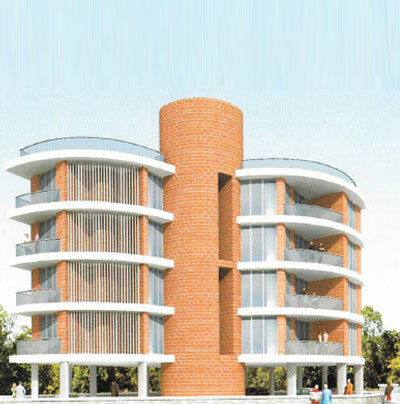 (Runwal Reallty, Pune) executed The FIRST SLUM REHABILITATION PROJECT in Pune which was first in MAHARASHTRA and subsequently acknowledged as first in India. 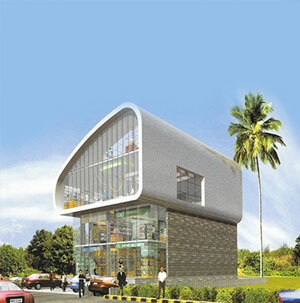 At Runwal Reallty, the focus on planning is very strong centered around the customer. 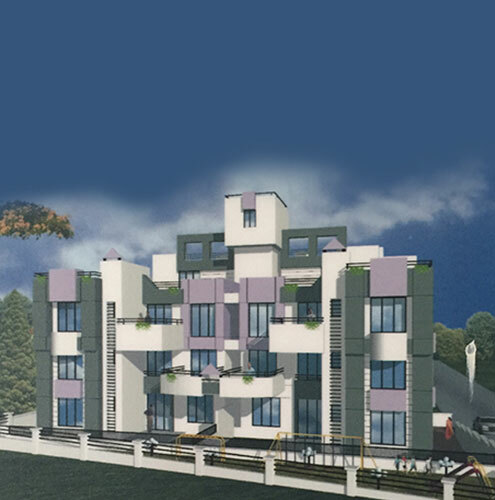 Every project is dealt within detail taking into consideration all the safety measures without compromising on the quality which is the hallmark of the group. I have been working with Runwal Reallty for last 15 years. The company is extremely ethical and works with a high degree of professionalism, which makes it easier to work with them. I have been associated with Runwal Reallty for more than 20 years. For architects it becomes very important to work with someone who has vision and belief in trying out new ideas. Runwal Reallty has been proactive and encouraging in doing so. We fell in love with the quality of the home. The planning is so accurate and takes care of all our needs. Ours is an ideal home.